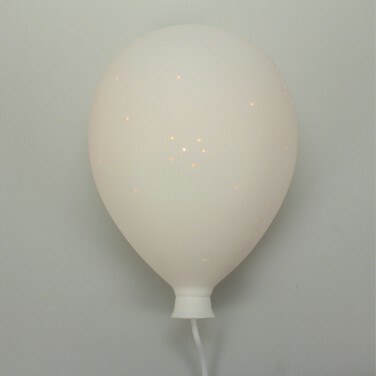 A stunning wall mounted bedroom light, this ceramic balloon lamp shines with a gentle warm white glow. 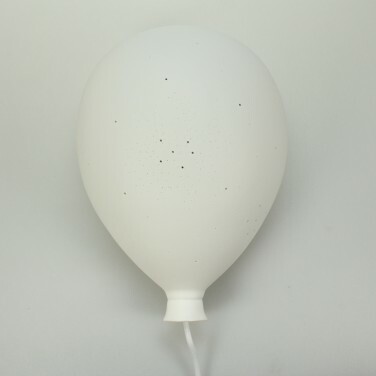 Take your children's room lighting up and away with this charming ceramic balloon lamp. 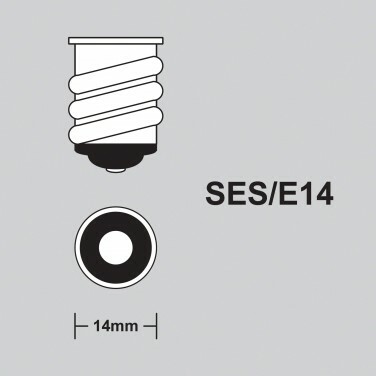 A ceramic wall light with inline switch, tiny pin pricks detail the lamp allowing shards of light to shine through complimenting the general warm white glow of the lamp. Perfect for kids rooms, this magical lamp gives off just enough light to reassure without disturbing sleep making a stunning night light. Cute as a button and full of character, this adorable vinyl wall decal charts your child's height and also gives off a comforting glow at night. 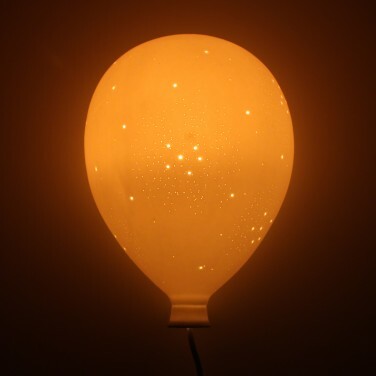 Bright, colourful and full of fun, this decorative hot air balloon paper lantern adds a warm, gentle glow to your child's room. An adorable ceramic sheep lamp that shines with a gentle warm glow to reassure at night.